At the New York Auto Show, eyes kept gleaming at the two all new models from the Scion Family, iA Sedan and the one we’ll be talking here, the iM Hatchback. Looking at the model, at once we had the clicks of Toyota Corolla Wagon and yes this model is a rebadged model or from the eyes of the world or lets say Auris Lexus fans, this one will remind you of CT 200h.Its not just the looks we are here talking about, you can sit down calmly and match the mechanical bits; yes they indeed resemble. 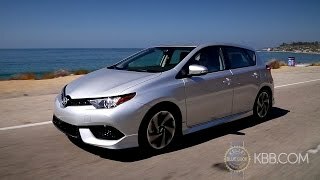 Well personally we don’t find any harm in this.Despite the fact that the engine of this model resembles to that of Corolla Eco, Scion iM offers its buyers better mpg, with dual zone climate, 7- inch infotainment system and much more at a reasonable price. Let us get a closer look of this affordable hatchback with classic features. 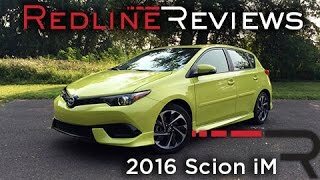 We agree to the fact that the specifications mentioned here aren’t enough to incline you towards this newly introduced Scion iM Hatchback 2016. 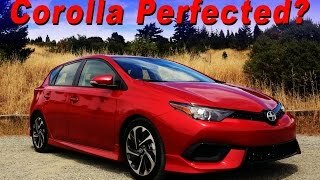 Yes it resembles with the Corolla but there are some changes and modifications. The model offers Bluetooth connectivity, aux inputs and USB charging. In this model you can find the HVAC system upgraded with dual zone climate controls, accompanied by a digital readout, giving it a techie feel. Behind the driver and the fellow passenger, the room is sufficient for two adults. Yes if you are planning a long ride for 4 including a driver. The vehicle assures you a comfortable ride. 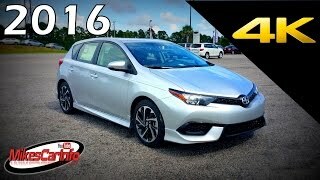 The 2016 Scion iM is also well equipped with the safety features like, 8 airbags, preserving all your corners and Whiplash Injury Lessen feature. The 1.8- Liter four cylinder is as what it would have been expected from this model. The model offers sport mode also while in manual mode the driver can play with seven gears to shift through. 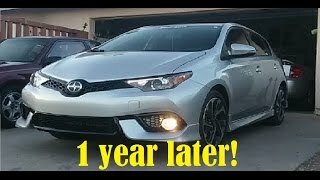 Being a hatchback model with 4 cylinder buyers can just expect the car to be a good family stuff or a wheel for the fresher or college-goers, to work his hands upon. Talking about the market competition for this one in particular, we can see that from, 2015 Ford Focus and Kia Forte5.